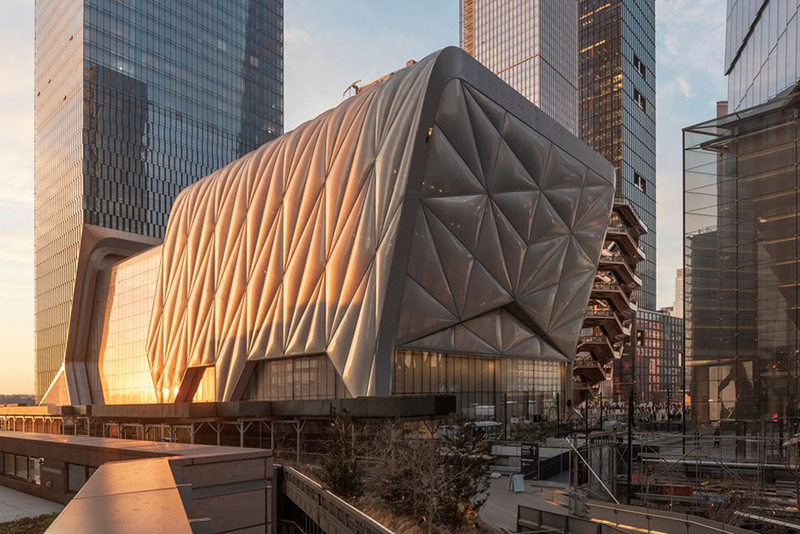 The Shed is an art production and exhibition space designed by the three architects of Manhattan-based Diller Scofido + Renfro. 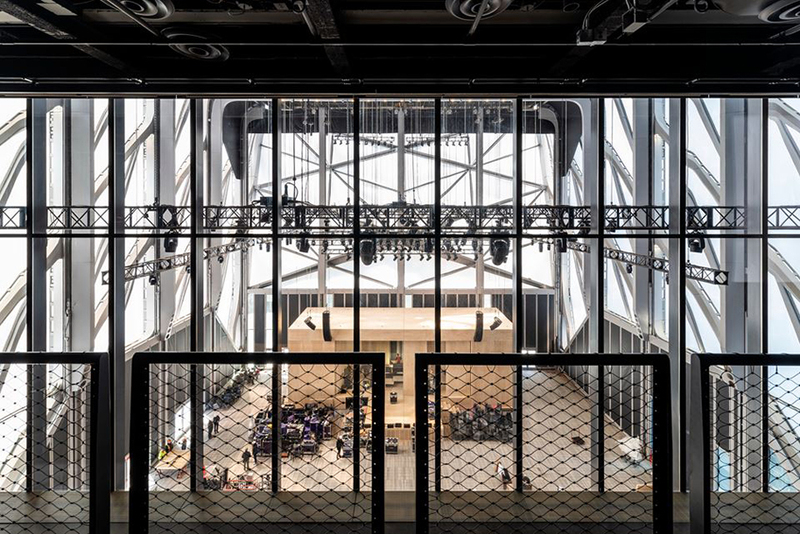 The 2 300 square meter building spread across 8 levels - two of which are entirely dedicated to galleries - houses offices, a theater, a relaxation area, a creative laboratory, and an event space boasting a skylight. 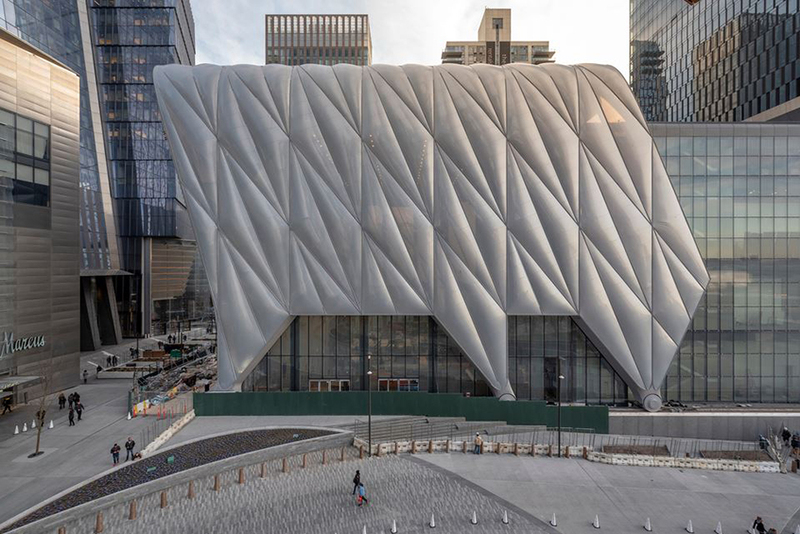 Camouflaged behind a translucent membrane, the building slides its second skin along rails placed on the adjacent square to double its capacity for events, performances or installations of greater magnitude. 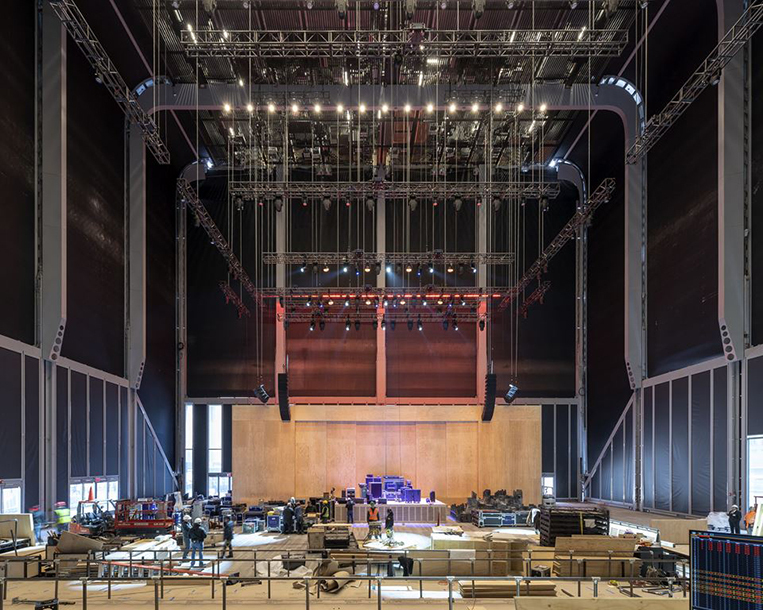 The Shed, once deployed, covers 1 600 square meters of insulated hall of temperature, light and sound by its inflated telescopic membrane, ready to receive up to 2 700 people. 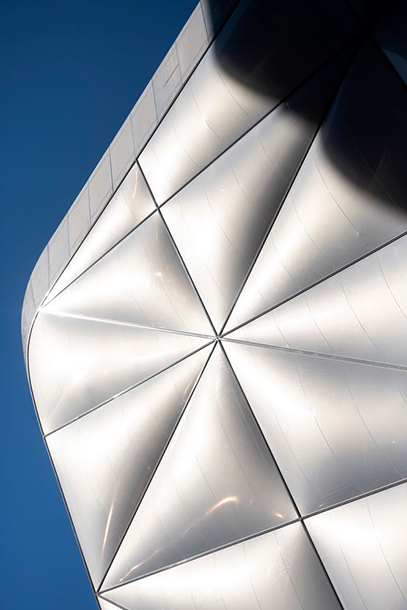 The structure of the ETFE casing - a high-quality plastic polymer - allows it to meet the demands of ergonomics and strength. 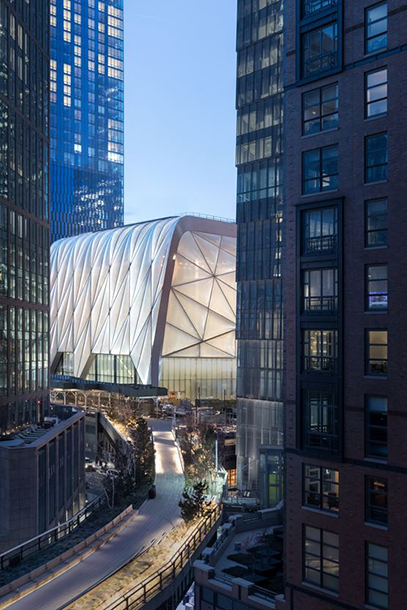 Its membrane is formed of 148 air cushions consisting of three to four thin layers of ETFE (300 microns thick), which cover 4 110 square meters of surface and protects the building exposed to strong winds from vibrations and solar radiation . The 4 air supply units over one meter wide, necessary for filling the cushions, are placed on the roofs. 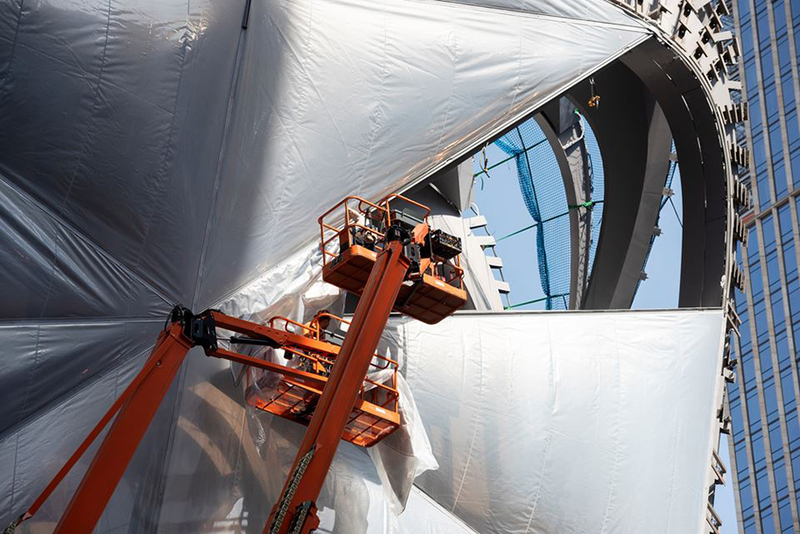 The homogeneous appearance of the shell has been worked to form a uniform inflated canvas, made up for the most part (71%) of the translucent material. 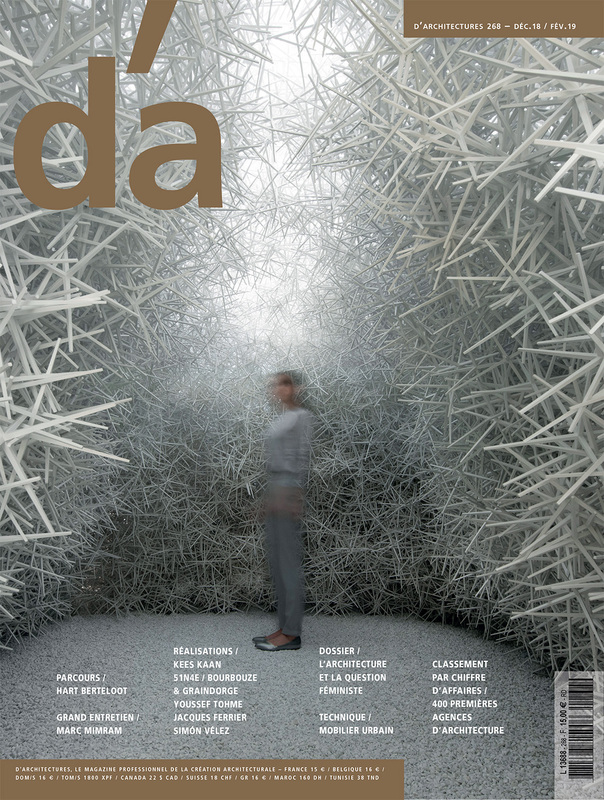 It is activated at night thanks to the inserted LED bulbs, and forms an interactive backdrop that animates the place. 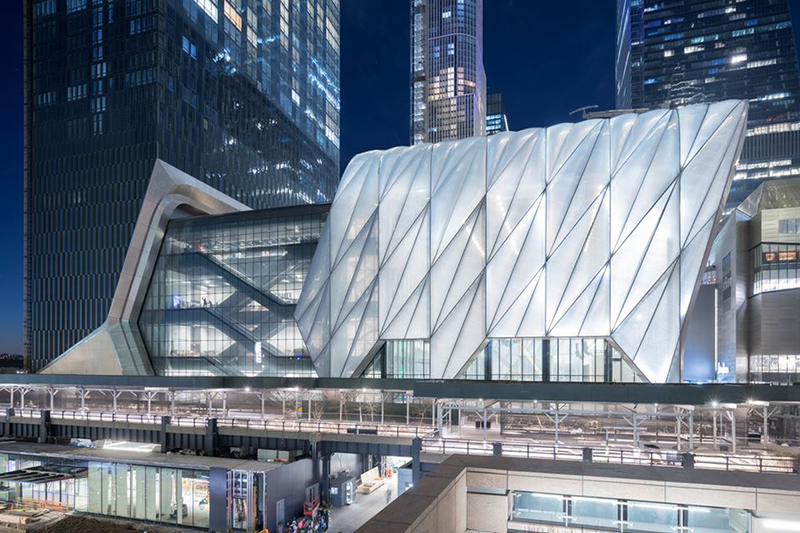 To insulate indoor spaces with too much light, as needed, the Shed is also equipped with an inner fabric membrane mounted inside the steel support structure. A hangar under its veil of air, sheltered from the festive storms which are announced.